The cylindrical displacer weighs 15 pounds (dry) and has a diameter of 2 inches. The process liquid is water. 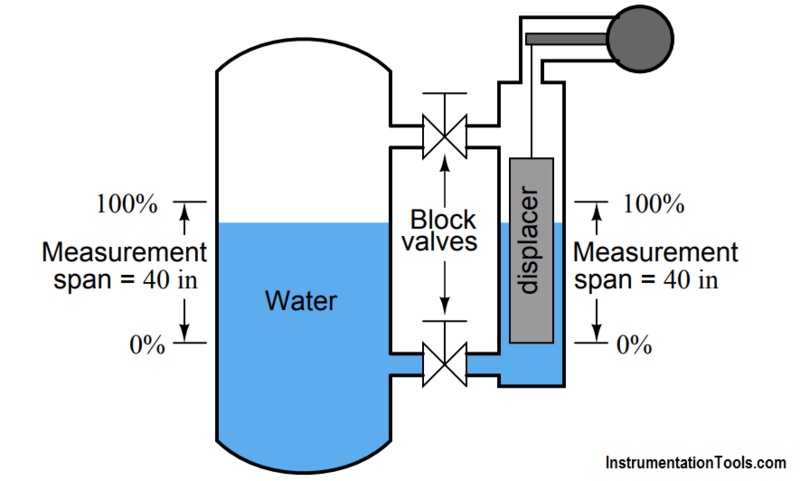 The 0% process liquid level (LRV) is even with the bottom of the displacer. Assume an electronic transmitter mechanism with an output range of 4 to 20 mA. Fill the missing fields in the below table.